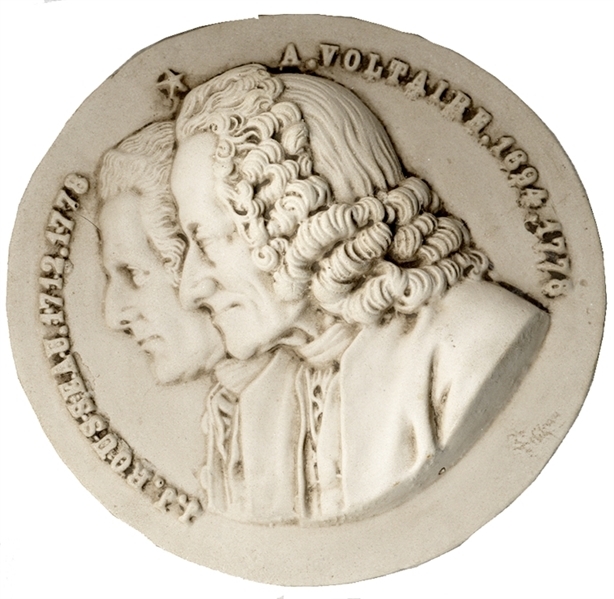 From pressed marble dust, 6” diameter, with profiles of two of the world’s most noted philosophers as identified on the top in raised lettering, “J.J. Roussea 1712.1778, A. Voltaire, 1694.1776.” np, nd. c 1800. (formerly Rex Stark inventory).